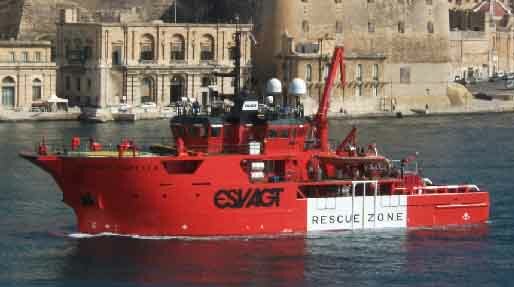 Esvagt Capella, the 2004 built Danish registered safety standby vessel was seen entering Malta Grand Harbour for the first time on Monday 20th May, 2013. The vessel entered Malta for refuelling and supplies prior to continuing her journey to provide support to Maersk Discoverer, an oil rig off the Egyptian Coast. Focal Maritime Services Ltd was the vessel’s local representatives.